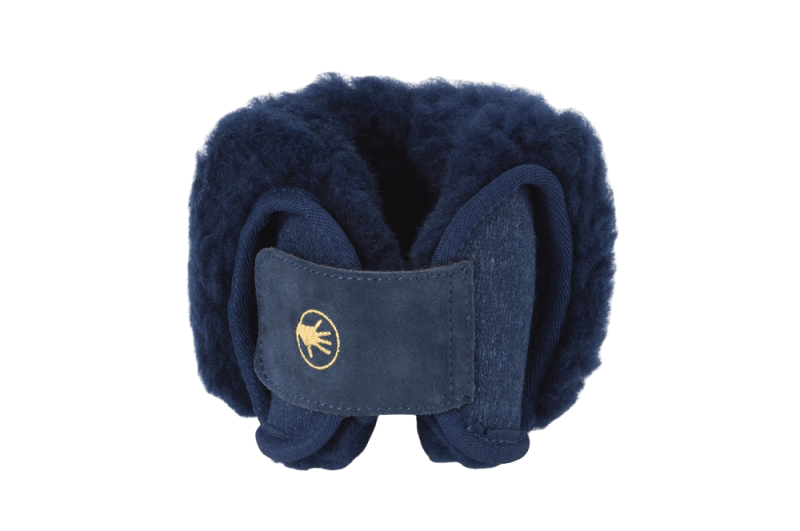 Protect palms and help hands relax with Shear Comfort Palm Protector- made from soft Merino Lambswool.. Palm Protectors can be easily tightened or loosened with the velcro strap. 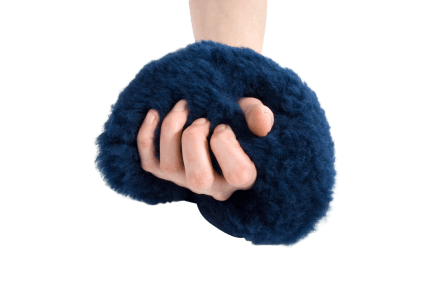 Shear Comfort Palm Protectors offer relief for curling fingers, protracted fingers and cramping. The Shear Comfort Palm Protector is put on over the thumb and around the hand, providing a cushioning pad for the fingers to curl onto, preventing the nails from digging into the palm.The Shear Comfort Palm Protector also keeps the fingers warm and supported. These Palm protectors are sold singly, are ambidextrous and can be used on either hand. Sold as a single unit- can be used on either hand. Wash in Woolskin to clean, condition and disinfect these Shear Comfort Palm Protectors.